American Salon Mats brings you 28 years of salon floor mat experience. We are proud to offer our customers the most comprehensive selection of high quality beauty and barber mats such as: tile top salon mats and textured top mats; high heel proof mats, soft wood grain salon mats, diamond design mats, domed surface salon mats, multi-layer thickness salon mats and polyurethane mats. We welcome the opportunity to help you with any of your salon mat needs. Please contact one of our salon matting specialists for immediate assistance. 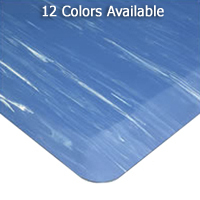 Marbleized Salon Mats offer the classic marble tile surface design. • 12 solid and marble colors. • Available 1/2" & 7/8" thick. 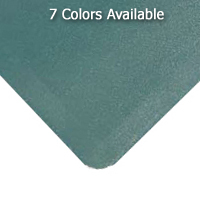 Textured Top Salon Mats boast a high-gloss, crocodile texture. 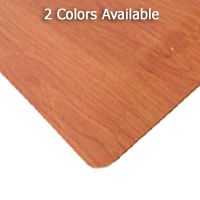 Soft Woods Salon Mats offer a wood grain design. • 2 wood grain finishes. 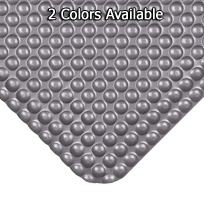 Diamond Plate Salon Mats offer a modern, diamond texture. 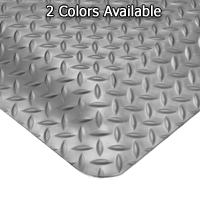 • Diamondplate pattern in 2 colors. • Available 9/16" & 1" thick. High-Heel Proof Mats prevent damage due to a 2X thick surface. • Nylon reinforced, vinyl surface. Rebound Salon Mats provide high/low pressure points. • Dome surface in 2 colors. Multi-Density Salon Mats have a varying base thickness. • Varying sponge base thickness. 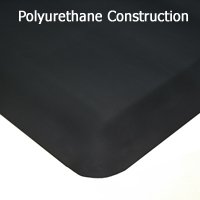 Rejuvenate Salon Mats offer superior comfort and durability.